AMD’s CEO Lisa Su confirmed in the Q4 earnings call that the company has “very good” graphics products that will begin shipping in Q2 2015. Su revealed that AMD has several product launches planned for “the next couple of quarters” referring to Q2 and Q3 of this year. The bulk of which will land between the April to June time-frame. The portfolio of new product launches includes new graphics cards, AMD’s next generation Carrizo APU and new server and embedded parts. In this particular article we’ll focus on AMD’s upcoming R9 300 series of discrete graphics products. Lisa Su took the time to explain the ups and downs of the graphics channel / AIB business in 2014. According to Su the year started with a very strong first half of the year prompted by the cryptocurrency mining phenomenon. 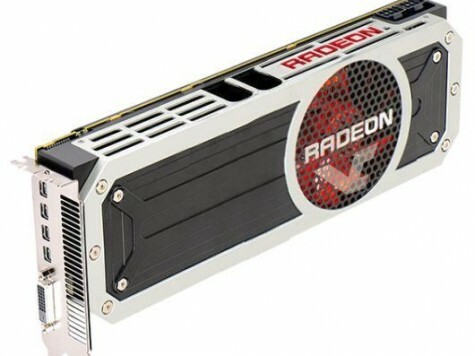 This resulted in rapid depletion of AMD’s high performance graphics inventory, mainly products based on AMD’s Hawaii (R9 290 series) and Tahiti ( R9 280 series). In turn AMD increased inventory in anticipation of a continued strong demand which unfortunately fell off very rapidly after the cryptocurrency market collapsed. This resulted in AMD entering a weak second half of the year with an excess amount of high-end graphics inventory. In the first half of the year we had — first half of 2014, we had actually an unusually strong AIB channel because of the bitcoin effect, and then we needed to correct some of that. There are some competitive dynamics in the graphics, AIB channel as well. And then relative, you know, from Q1 to Q2, I think the largest improvement will be around the channel health. We have had this channel problem for a couple of quarters, and it’s important for us to correct that. As we look at the downstream channel, we definitely reduced some inventory in Q4, and we will take significant action to reduce that inventory in Q1, and that will give us an opportunity to return to a more normal desktop channel business, which has been relatively successful for us in the past. According to Su, the company has already taken actions in Q4 to reduce inventory levels back to a normal level. In addition Su also stated that the company has taken more drastic actions to normalize the channel within the first quarter of 2015. After that AMD anticipates to enter the second and third quarters with a healthier level of channel inventory and with new more competitive graphics product launches. Think on the computing and graphics business, we can improve our execution and there is a lot of focus, at least from my standpoint, to ensure that our 2015 product launches are quite strong. So that’s important for us to really stabilize that business, and that will certainly be key to our second half performance. I think from where I see it going forward, we are very focused on correcting the channel and normalizing that business. I think we have some good products that are coming out for it. So I do see opportunities for a return to a more healthy channel business going forward. AMD’s CEO had already revealed that the red team has new graphics products in the pipeline for 2015. Su stated that it views 2015 as a share gain opportunity for graphics as we’d reported earlier. In 2015 we have some very good products in the pipeline, we’ll talk more about them as we go through the year. I absolutely view it as a share gain opportunity over that period of time. However this is the first time AMD had outlined a concise time frame for when these new products will arrive. The company’s targeting Q2 for the new graphics launches which will occur throughout the quarter and all the way into Q3. We should see the majority of the new cards land before July with a few subsequent introductions occurring within the summer. AMD’s competitive position within the latter two thirds of the year should prove to be significantly better. The company’s planning to introduce a plethora of new graphics cards that span the entire range. We know of some of AMD’s plans thanks to various leaks throughout this year and last year. These include AMD’s upcoming Fiji XT GPU which will feature a cutting edge stacked memory technology co developed by AMD and SK Hynix called HBM. The new memory standard promises to be significantly more power efficient than traditional GDDR5 and up to 9 times faster. In addition, leaked specifications for the GPU indicate that it will feature 4096 GCN stream processors and a 4096bit wide-IO memory interface. Fiji XT is also rumored to be the first ever single GPU to come with liquid cooling as standard. In addition to Fiji XT there’s also whispers of AMD working on a faster version of the Hawaii GPU inside AMD’s R9 295X2, 290X and 290 cards. There’s also talk of AMD releasing a fully unlocked version of Tonga with a 384bit memory interface and 2048 GCN cores. 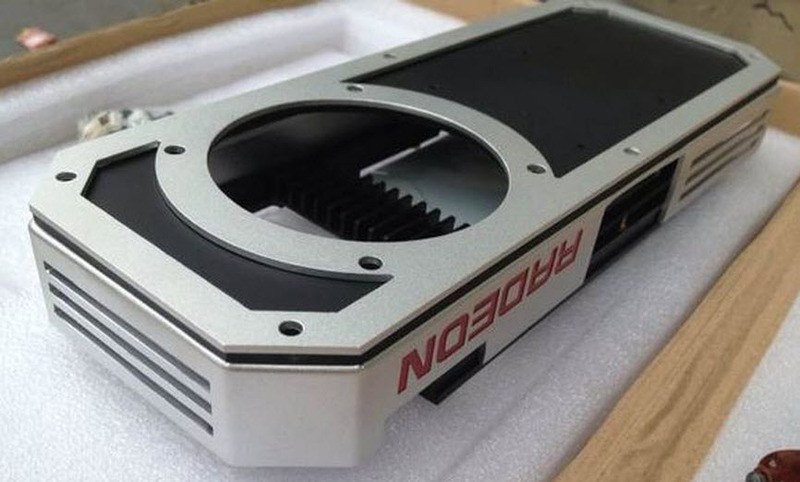 There’s also a fresh leak from China which tells of a new GPU code named Trinidad to replace AMD’s R9 270 series in the $200 price point which is rumored to be coming within the next couple of months.